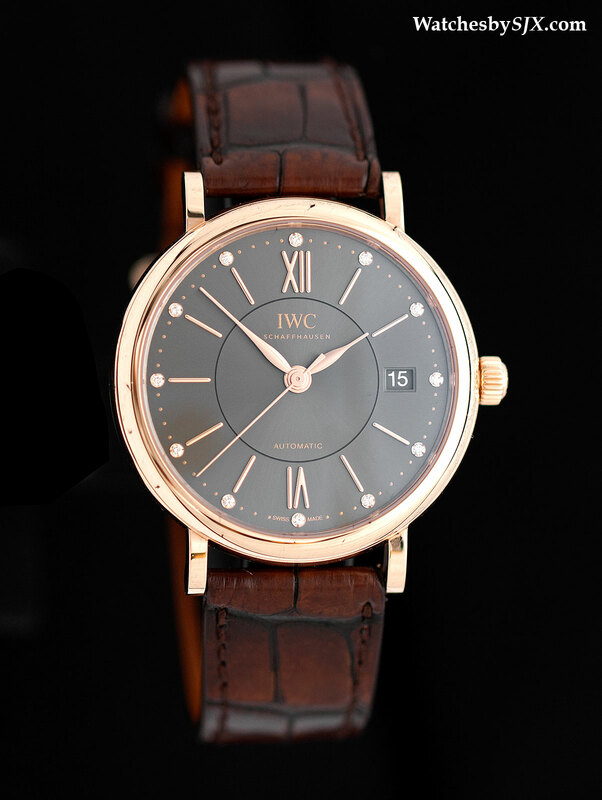 IWC recently unveiled the Portofino Midsize, a trio of timepieces in smaller cases, even with diamonds and mother-of-pearl dials. 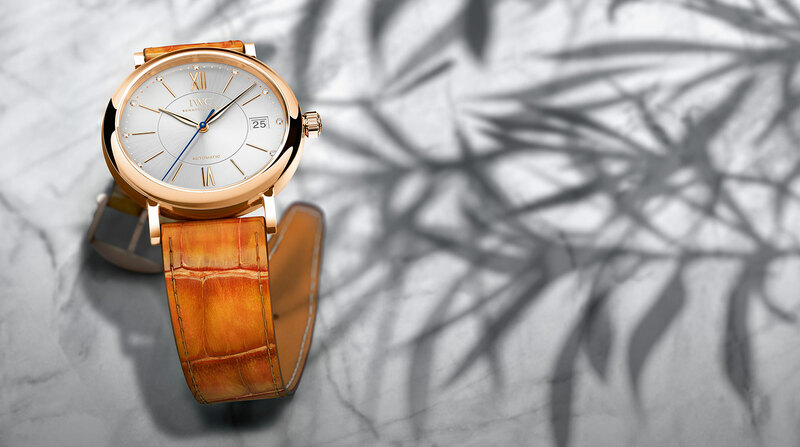 Despite being engineered for men, the Portofino Midsize watches are intended for women in all but name. 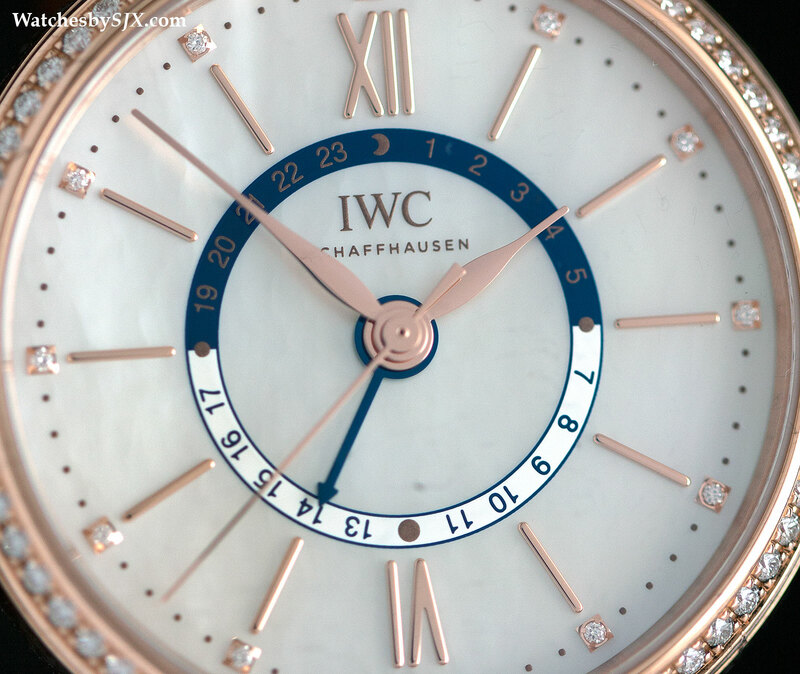 Best known for its men’s watches, IWC has a small selection of timepieces for ladies, though they are not widely known. The brand is famous for its tagline – “Engineered for men” – and has built its success on masculine timepieces like the Portuguese or Pilot’s. The new Portofino Midsize watches is a well executed attempt to secure more real estate on the female wrist. For brand coherence, the new Portofino watches, though obviously designed for the female wrist, have been labelled “Midsize”. That moniker is a fudge, since these are clearly ladies’ timepieces, and well conceived ones at that. 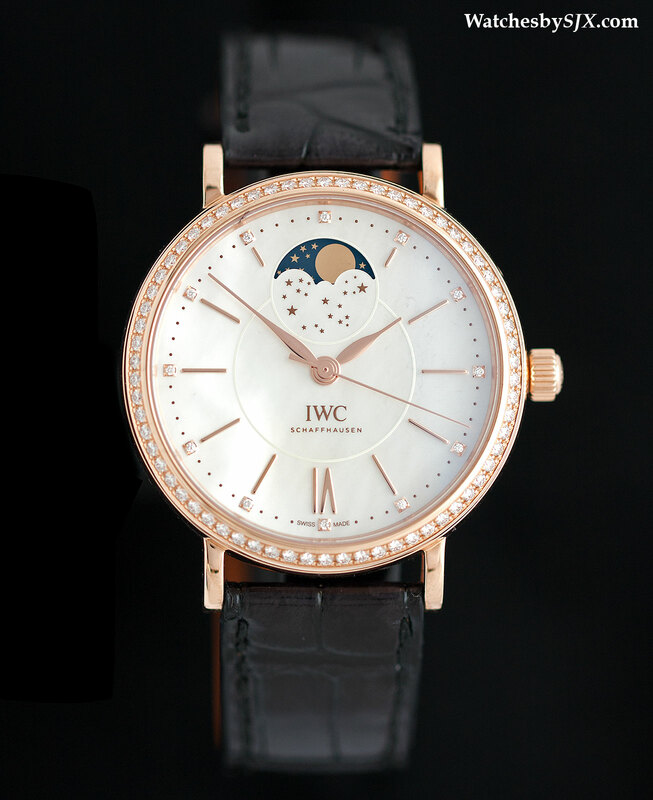 The Portofino Midsize collection comprise three watches – an automatic, a moon phase, and a dual time zone. All share the same 37 mm case with a pedestrian but robust Sellita automatic movement inside. With leaf hands and baton indices, though “6” and “12” are Roman numeral, the aesthetic is pleasant and easily acceptable – the sort that wears well at the office. 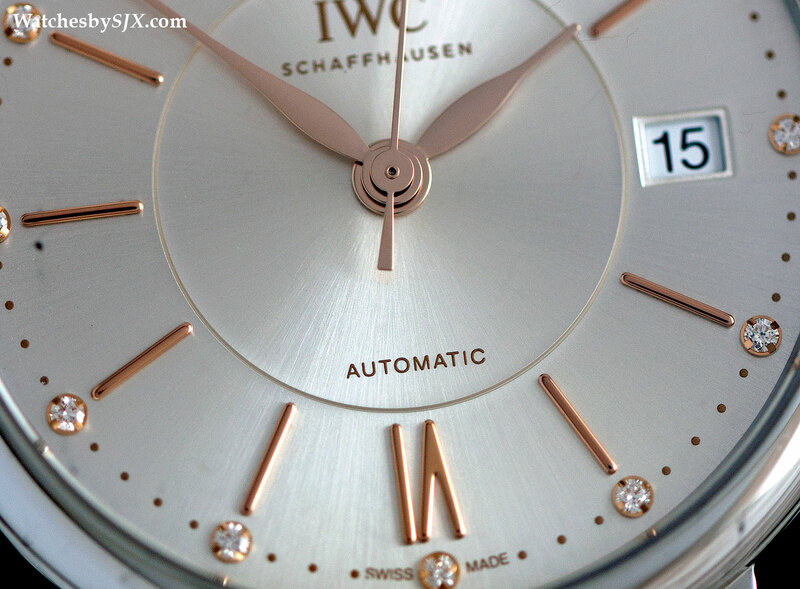 All models come with diamonds, either on the dial, bezel or both. The base model is the Portofino Midsize Automatic, available in several versions including some with mother of pearl dials. 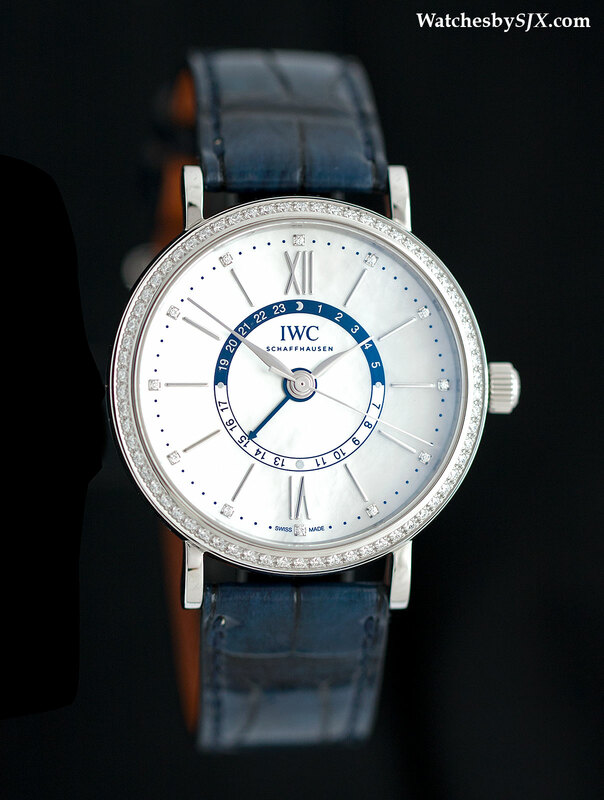 This starts at just US$6050 or 8150 Singapore dollars for the basic steel model with diamond hour markers. 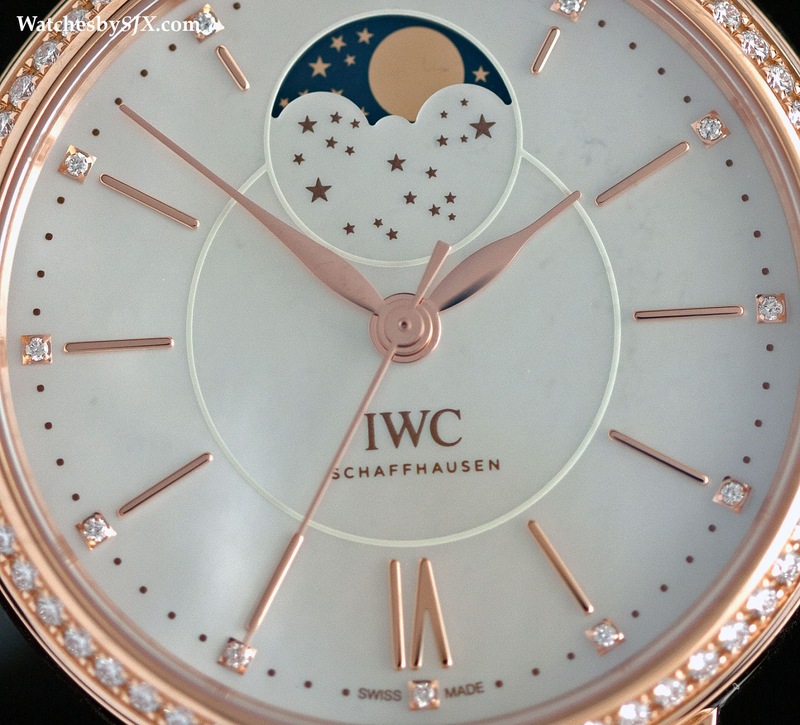 That climbs to US$20,200 or 27,100 Singapore dollars for the fanciest model in rose gold with diamonds. Featuring a second time zone display shown on a smaller hand (which can also function as a day and night indicator when not travelling), the Portofino Midsize Day & Night has a mother of pearl dial, along with diamonds on the dial and bezel. 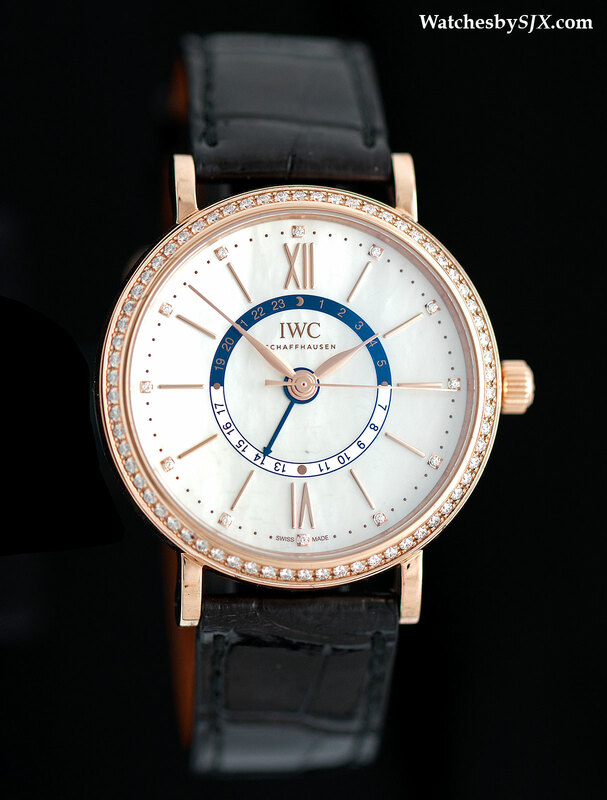 This costs US$14,600 (or 19,600 Singapore dollars) for the steel model, while the rose gold Day & Night costs US$24,300 (pr 32,700 Singapore dollars). And the priciest model in the range is the Portofino Midsize Moon Phase. 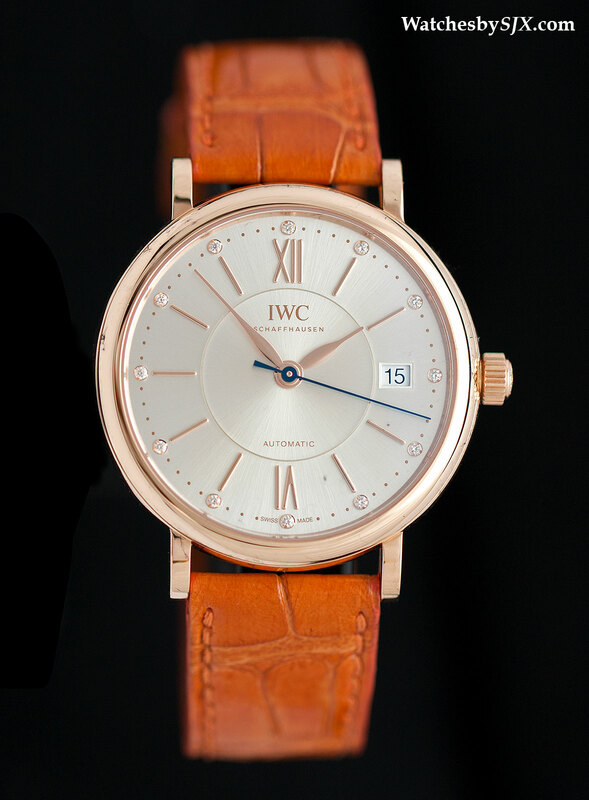 In steel it costs US$15,000 or 20,200 Singapore dollars, while the top of the line model with a rose gold case and bracelet is US$42,700 or 57,300 Singapore dollars. All the Portofino Midsize watches are paired with straps from shoemaker Santoni – which is also best known for its men’s shoes – that are finished in shaded tones for a ready made patina. There is also an option of a mesh Milanese bracelet, either in rose gold or steel to match the case. 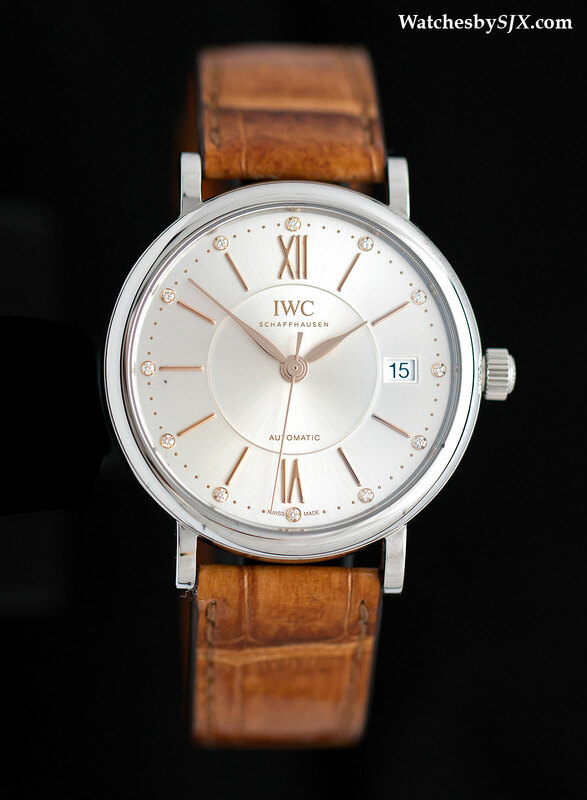 They are available now at retailers and IWC boutiques.